Jaromir Jagr's time with the Florida Panthers has come to an end. Further to @DarrenDreger, Jaromir Jagr's agent Petr Svoboda confirms the Panthers have cut ties. Jagr hitting the open market. 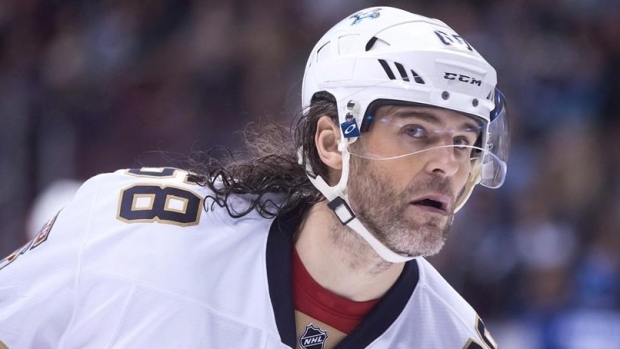 Jagr has been with the Panthers since the team acquired him at the Trade Deadline in 2015. He finished with 16 goals and 30 assists in 82 games for the Panthers last year, and became the league's second leading scorer of all-time behind only Wayne Gretzky. The fifth-overall draft pick in the 1990 NHL Draft played on a one-year, $4 million deal last season. Named as one of the NHL’s Top 100 players last season, Jagr has 765 goals and 1,149 assists in 1,711 career NHL games.